Newark, Delaware – Driving Dynamics Inc., a provider of advanced performance driver safety training for fleet-based organizations throughout North America, has announced an ownership change. This news follows the retirement of company founders Bill Buff and Paull Hubbard. “It’s been a true honor to work with these gentlemen. They never deviated from their mission to deliver the highest quality training and to keep drivers safe. I’m privileged to be in a position to carry on the legacy they’ve set in motion,” said Art Liggio, Driving Dynamics’ President and CEO. Art Liggio joined the company in 2008 with a plan to grow the business. As the managing owner, he has acquired full ownership of Driving Dynamics together with majority owner investment firm Intuitis LLC, with offices in New York and Paris and Delancey Street Capital Partners, based in Conshohocken, Pennsylvania. “Intuitis is very proud to back the management buy-out of Driving Dynamics. This transition of leadership will allow the company to continue servicing its traditional market and capture significant new growth opportunities. Driving Dynamics is perfectly in line with our investment strategy: a strong management team already in place, a company with a solid track record of historical cash flows and significant upside potential,” commented Nicolas Delcourt Intuitis founding partner. The investment group points to the company’s domain expertise, strong position in the driver training space, reputation in the marketplace, passion and commitment of the leadership team for growing the business, and proven ability to execute as key reasons for their investment decision. “We’ve done a lot of research on the driver training space and we were extremely impressed with the company, its leadership team and outstanding customer reputation. Driving Dynamics was a strong company previously and now with the recapitalization of the business, it’s in an even better position to go after growth in multiple ways,” said Bill Filip, founder and managing director at Delancey Street Partners and Delancey Street Capital Partners. Among Driving Dynamics’ goals is remaining at the forefront of addressing the needs of fleet-based organizations to: respond to today’s driver safety challenges, provide comprehensive end-to-end safety performance solutions, and adapt to new vehicle technologies. Art Liggio has a long history of senior corporate management focusing on growth expansion through the use of leading-edge technologies and services. He has been responsible for a substantial increase in Driving Dynamics’ growth rate and depth of its customer base. Art consults on a broad range of topics including: safety policy development, building sustainable safe driving cultures, driver risk identification protocols, and regulatory compliance. Intuitis LLC, founded in 2000, is funded by a team of seasoned and successful long-term investors based in the U.S. and Europe. The firm focuses on acquiring control investments in small- to growing middle- market companies and seeks to invest in the long-term development of these businesses. It invests in traditional sectors such as distribution, manufacturing, and business services. Delancey Street Partners, an investment bank based in suburban Philadelphia advised the company in the recapitalization and its merchant banking affiliate Delancey Street Capital Partners participated in the financing. 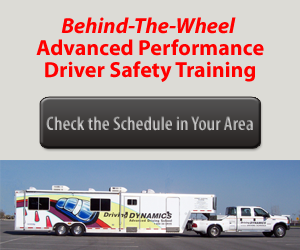 Founded in 1987 and headquartered in Newark, DE, Driving Dynamics has earned its position as an accomplished provider of impactful driver safety training by continually building and delivering programs based on sound research, proven learning methodologies, and expert instruction. The company is dedicated to improving drivers’ abilities to stay safe by leveraging risk management tools, principle-based learning, and applied techniques. Driving Dynamics encourages all drivers to Steer Toward Safety™. 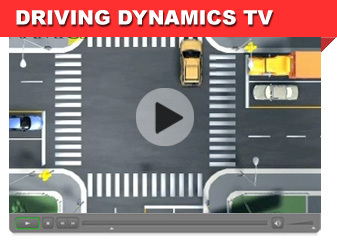 For more information visit www.drivingdynamics.com. This “One Second Advantage™” Safety Tip will help you understand “intersection etiquette” in order to responsibly and safely navigate intersections.